As beautiful as Gent is, do you ever want to escape the hard, gray stone of our city to see something different? What if I told you that with just a day trip, you can visit one of Europe’s most beautiful forests? Hallerbos, “The Blue Forest”, in Halle, Belgium has been described as a fairytale setting, both mystical and magical, due to the beauty it exudes a few weeks every year when its bluebell (wild hyacinth) flowers are in bloom. It has received international attention by sites like Condé Nast Traveler and Atlas Obscura. Visit the forest when blooms are at their peak and it will be easy to see why this nearby destination has become a favorite of instagrammers, travel bloggers, and nature photographers. 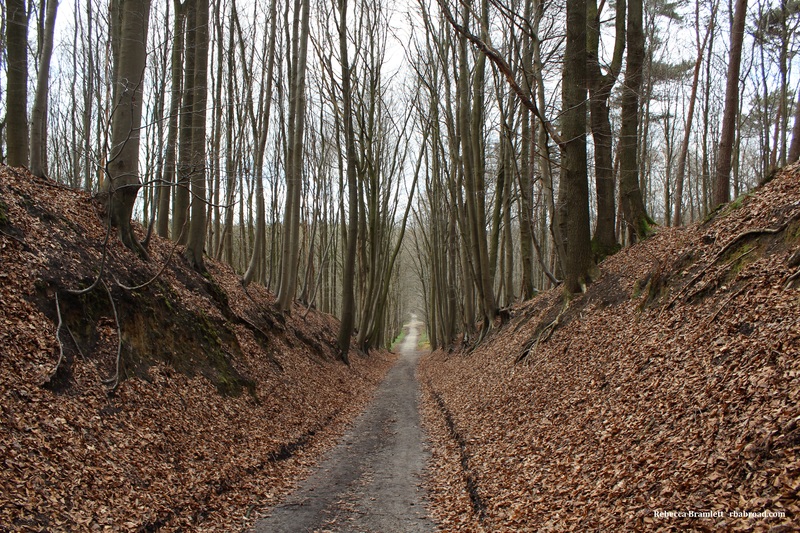 Lucky for us Gentenaars, Hallerbos is located about 70 km from Gent, just south of Brussels, so it is an easy day trip. 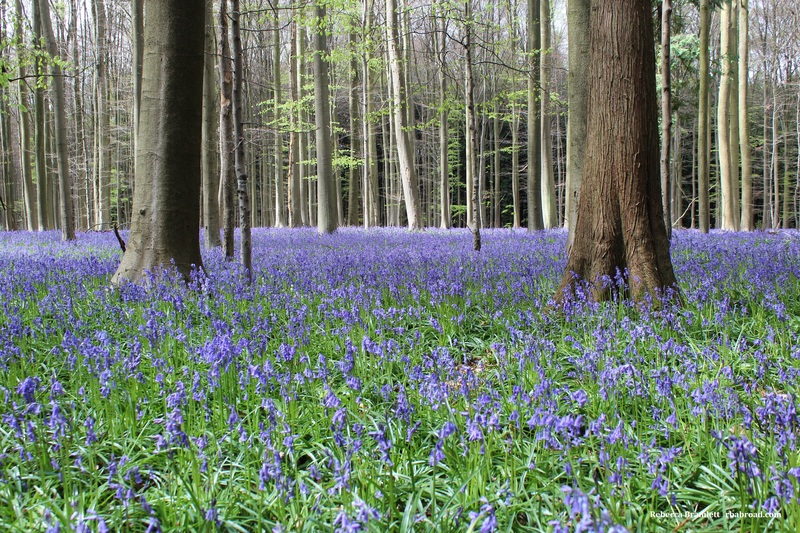 If that seems too far to travel, there are other forests in Flanders that similarly bloom with wild hyacinth, but Hallerbos is the largest. This website of the Flemish Agentschap voor Natuur en Bos has more information about Hallerbos and these other forests. 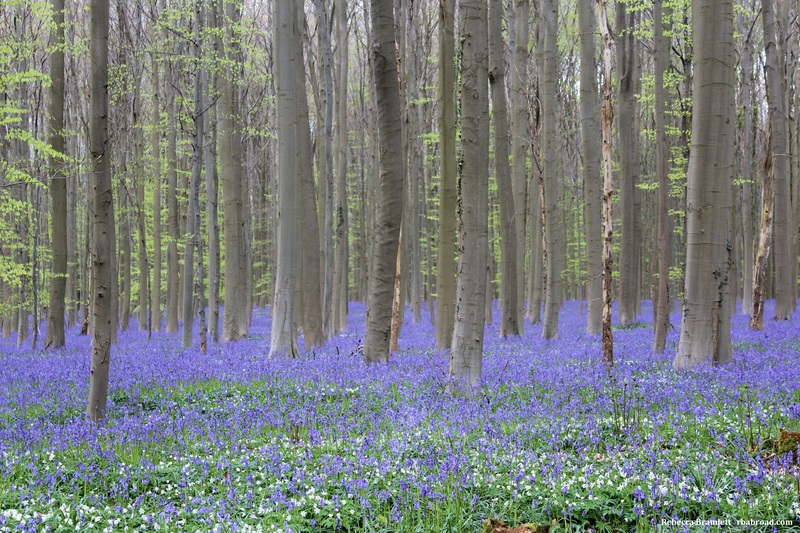 Hallerbos is open year-round, but the most popular time to visit is when the bluebells are blooming in the spring. The beauty they create gives the forest its nickname, “The Blue Forest”. This occurs at different times every year, varying, of course, because it’s nature! Some suggest making repeat visits starting in late March through April. Since other flowers bloom throughout the forest, the views are ever-changing and each visit will provide a new experience. 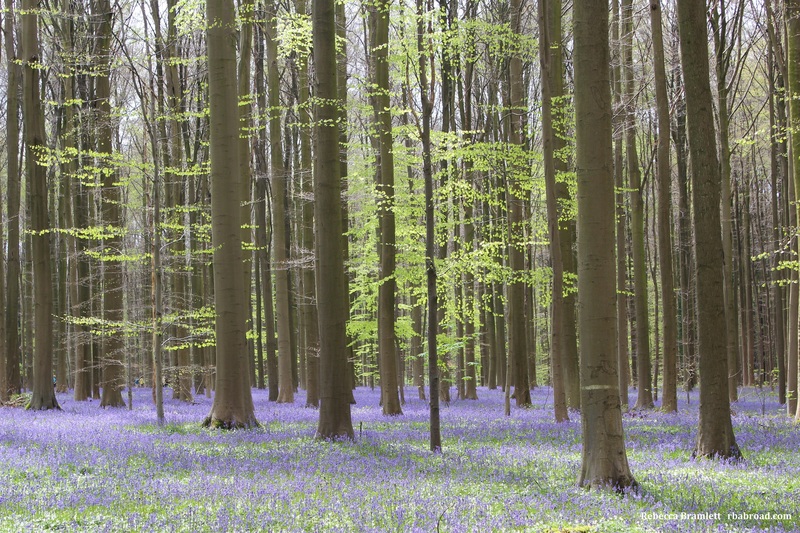 If you can only make one trip to the forest and want to ensure you go when the bluebells are in peak bloom, you can monitor their status on The Hallerbos website. Every year they add a page here to track the bloom period. The bluebells tend to bloom in mid-April, lasting for a few weeks. Hallerbos also looks for volunteers every year to help manage the flow of visitors in the forest. The time period they seek volunteers is a good indication of when they think the bluebells will bloom. For photographers and others wanting to experience the most “magical” atmosphere, the week or so after the beech trees start blossoming their leaves (which, thanks to Mother Nature, coincides with the bluebells blooming) is the most ideal. The vibrant green of the new beech leaves contrasts nicely with the deep blue-purple of the flowers, and the forest canopy is not thick enough yet to prevent light from coming through. Once the trees fully leaf, the flowers lose some of their vibrant color and light cannot get through the forest canopy as well. If you are looking to avoid crowds or capture the most interesting light effects, it is best to visit early in the morning or later in the day. Weekends are more crowded than weekdays. You can experience the beauty of Hallerbos with a visit to walk, run, hike, cycle, or ride your horse if you have one! For large groups, if you are interested in a guided hike, you can make a request though the Hallerbos website. Hallerbos maintains three marked trails for hiking. These trails can be enjoyed by people of all abilities and fitness levels. The trails vary in length and one is wheelchair accessible and designed for visitors with limited mobility. The Hallerbos website has trail maps available for download. One, available here, shows all the trails, including those for cyclists and horseback riders. The other two, available here under “Bluebell Walk” (Hyacintenwandeling), show the different (unmarked) routes to take if you want to focus on the bluebells. 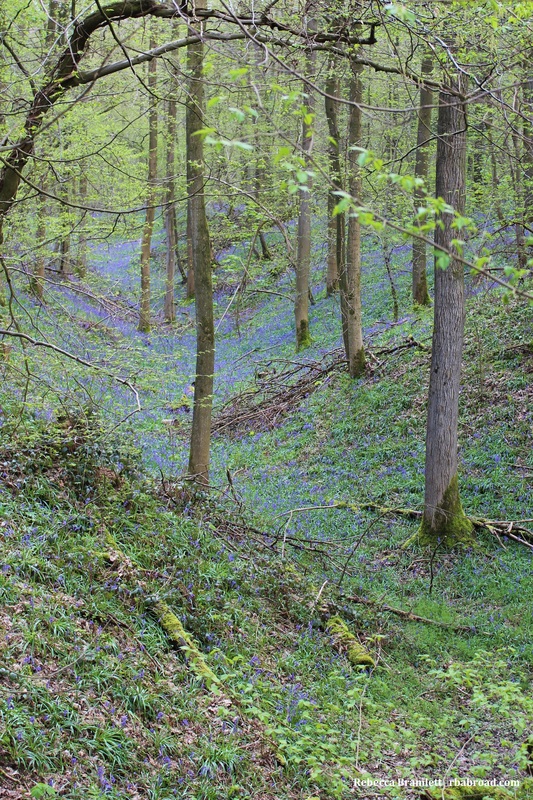 There are no marked trails in the forest designated specifically for bluebell viewing, so be sure to use these maps! The Sequoia Walk (Sequoiawandeling) ensures you find the giant sequoia trees that are also in the forest. The forest has areas with picnic tables and play zones for children. There is a Forest Museum that operates on limited hours on Sundays in April and October, or by using the contact information here. Hallerbos contains so much more that will interest nature lovers than just the bluebells, and visitors can make use of the trails any time of year. Countless plant and animal species call Hallerbos their home. The forest website has Speurderskaarten (investigator’s cards) which can help you identify flowers and plants you see in the woods. The site also has game cards and activities for children. Children’s birthday parties can be arranged using the contact information found here. Hallerbos maintains a calendar on their website that lists special events and guided walks. The Week van de Hyacint (Week of the Bluebells) in late April features educational walks for schools with a nature guide. Similar offerings exist during the Week Van Het Bos (Week of the Forest) in October. The Hallerbos prohibits the use of drones. Professional filming or photo shoots must get permission before working in the forest. Dogs must be leashed. Visitors must stay on the proper trails as marked (i.e. hikers on the hiking trails, cyclists on the cycling trails, horses on the riding trails). Visitors straying off the designated trails and walking into the forest (presumably to snap that perfect picture) have increasingly become a problem. Straying from the paths and stepping into the forest damages, and often kills, both the current flowers and the growth for the next year, resulting in less beautiful blue blooms in the forest. Even if it looks like a trail (as some areas do, due to natural leaf cover or previous negligent hikers trampling the growth), if it isn’t on the map, it isn’t official. Please don’t become one of the world’s tourists who ruin attractions for the rest of us. Keep the bluebells alive and thriving by staying on the trails! From Gent, you can get to Hallerbos by both car and public transport. If you are driving, there are multiple parking lots and different entrances to the forest. The Hallerbos website has a detailed map of parking areas and directions here*. Expect about 50 to 70 minutes of travel time by car, pending traffic. You can reach Hallerbos by train to Halle Station, then take a bus to the forest. There are a few bus routes and options. On weekdays, the TEC bus is an option. On weekends, only the DeLijn bus is an option because TEC doesn’t provide weekend services. Note that the DeLijn bus only runs once an hour. An alternative to a bus from Halle station is to rent a Blue Bike and cycle the 4.9 km to the forest. You can take your own bike using a daily bicycle transport ticket, but be mindful of which stations allow bicycle on/off-loading. The Hallerbos website has detailed instructions on public transport here*. * Hallerbos website tip: be sure to select “ENG” at the bottom of each page of the website if you need to get the information in English. This also works for the downloads! Hallerbos is a public forest managed by the Agentschap Natuur & Bos (Agency for Nature and Forest Management). Spanning 552 hectares (1,360 acres), Hallerbos is mostly in Halle, Belgium, in the Flemish Brabant, although some of it lies in the Walloon Brabant. Hallerbos’ history can be traced back 1,331 years to 686. Its ownership and borders have changed over time. In exploring the forest, you might see one of 20 large boundary stones still in place from a 1777 land survey. During World War I, the Germans felled most of the forest. After the war, in 1929, Hallerbos became property of the Belgian government as war compensation. It was completely reforested between 1930 and 1950. The Agency’s current forest management plan intends to create a rich and diverse forest, paying close attention to the needs of the natural areas and wildlife of the region. Wildlife fencing and a wildlife tunnel (so animals can safely pass under the highway that runs through part of Hallerbos) make it just as desirable for local animals as it is for us! Some of Hallerbos is forested, some is left alone to develop naturally, and some is managed to focus on spring flowering and recreation. This thoughtful management plan gives us the opportunity to enjoy a fairytale day trip away from the hard stone and buildings of our city center. Keep up with the latest news from Hallerbos by checking updates on their website, following them on twitter, or subscribing to their email newsletter. Enjoy your visit and share your photos with us. We’d love to hear if your Hallerbos trip is particularly magical! Rebecca Bramlett moved with her family from the United States to Gent in January 2016 thanks to an eagerly accepted international employment assignment for her husband. After spending nearly 15 years working in higher education (primarily university fundraising), she is now spending her time trying out new titles to add to the obvious “stay-at-home-mom” and “accompanying spouse.” Things like: enthusiastic expat, personal blogger (who is dreadfully behind in posts), amateur photographer, traveler, and lover of animals (especially dogs and horses). 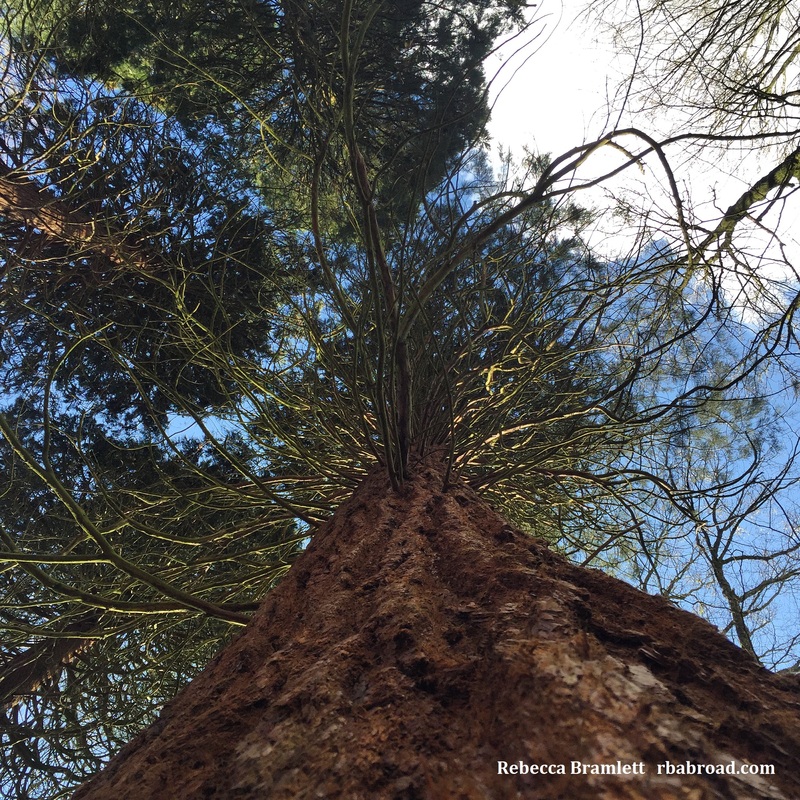 You can witness her attempts at these efforts – and her overall quest to squeeze every great opportunity out of her time-limited expat experience – by following her blog, Instagram (@rbbramlett), or Twitter.